Today I’ll be sharing with you guys a new range of skincare I’ve been using from Estee Lauder. 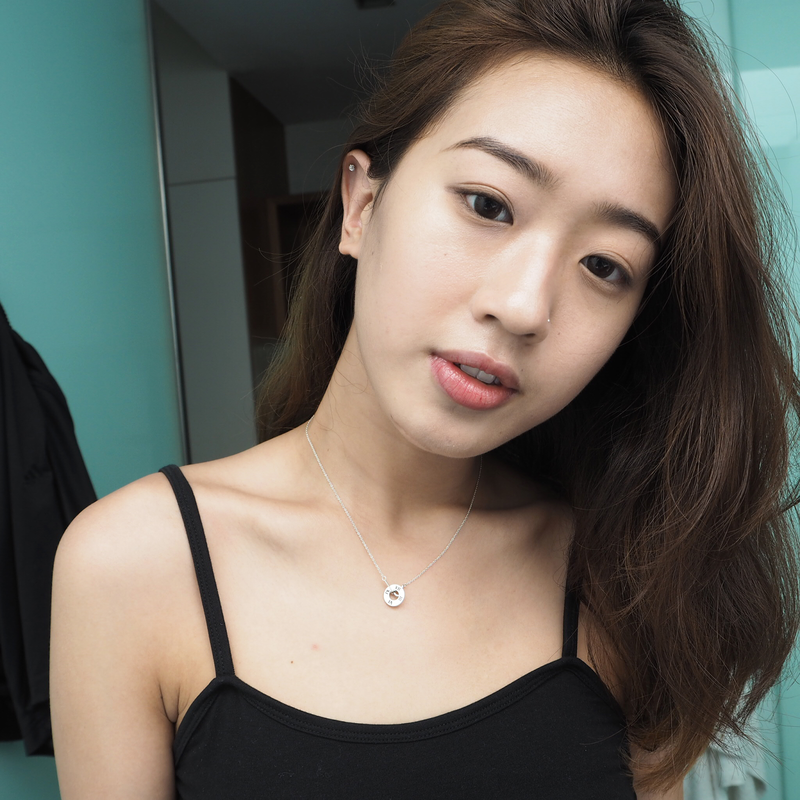 I’m thrilled because I’ve always wondered about the after effect of using an entire set of skincare range from the same brand, because I’ve been using products from various brands and curious if using the same products from the same brand would be much more ideal? The market is so saturated with so many products; sometimes it can be hard to keep up with the new ones. 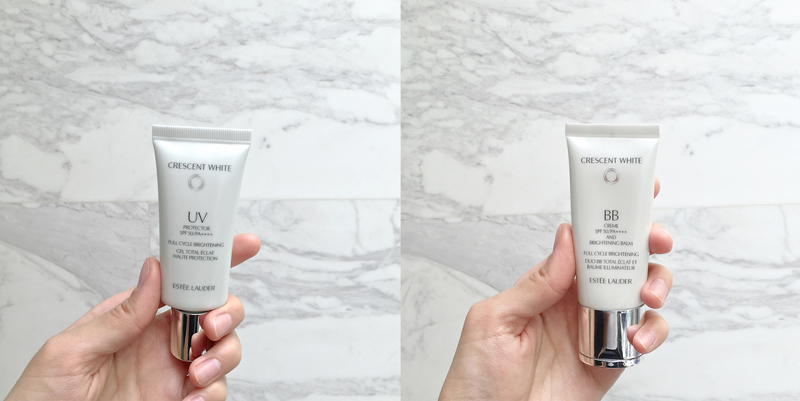 So, here’s the new one in the market as of now: Estee Lauder’s Crescent White Full Cycle Brightening Collection. In reference to the image above, I have just realized that I should have arranged the products accordingly to the order of usage – shucks. 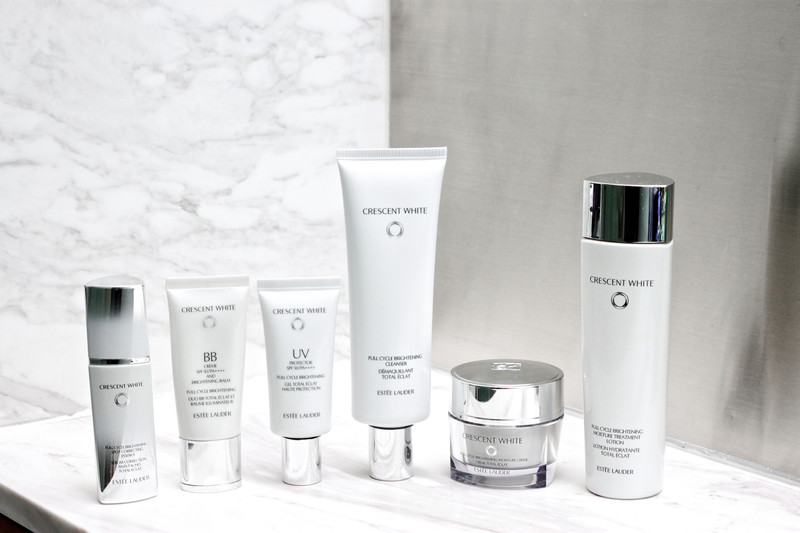 Of all, from the Crescent White Full Cycle Brightening Cleanser (SGD58), Moisture Treatment Lotion (SGD94), Spot Correcting Essence (SGD168), Moisture Crème (SGD114), UV Protector SPF50/PA++++ (SGD86), to BB Crème SPF50/PA++++ & Brightening Balm (SGD92), my favourite would be the last two mentioned. Many have the misconception that Estee Lauder is best suited for mature skin. Whenever I told my friends about testing this brand, they all have the same reactions “Isn’t it too old for you? ?” That’s not true. 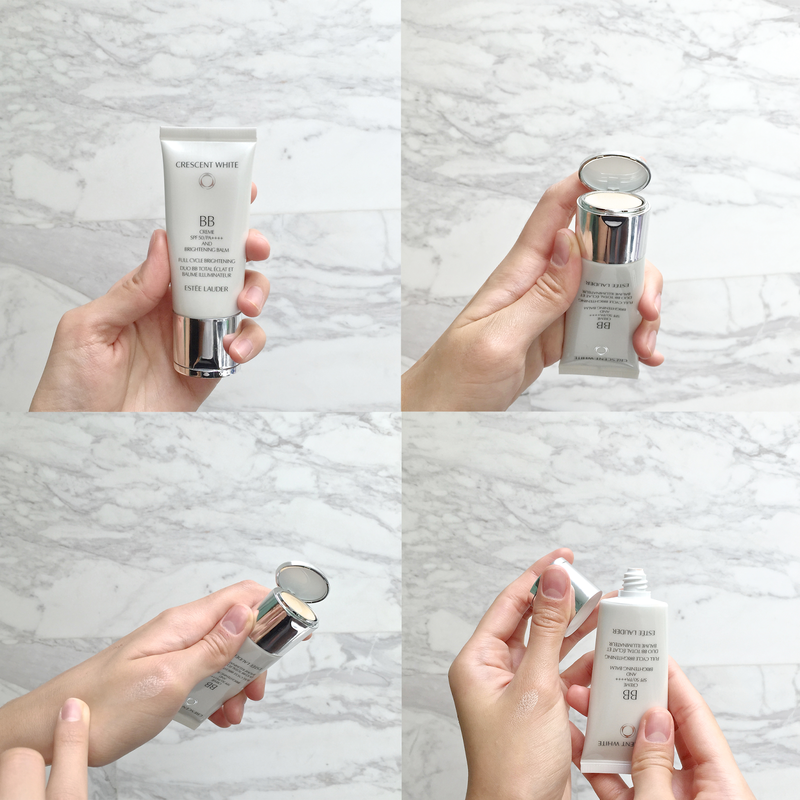 Estee Lauder’s Crescent White Collection is an effective yet gentle regimen, which works around the clock to prevent spots or the look of existing spots, and hyperpigmentation while also combats the key causes of light loss and discoloration of our skin. In short: This entire range aims to activate your skin’s ability to self-brighten and visibly repair the concerned areas haha. Now let me quickly introduce you to my favourite products of this range!!!! I’ve enjoyed this sunblock. It’s light. It leaves a matte finish after quickly drying up. 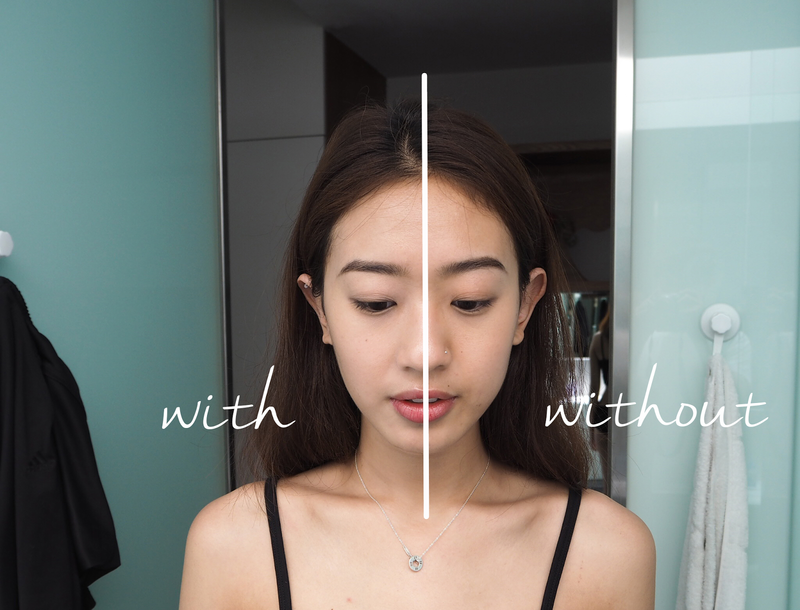 It doesn’t make your skin feel cakey or heavy even after piling on the BB Crème or foundation. What is even more impressive is the high SPF coverage (SPF50/PA++++). It is common to believe that the higher the coverage is, the oiler the texture of the sunscreen is, but I can barely tell for this Estee Lauder’s UV Protector. I MEGA LOVE THIS! I CAN’T EMPHASISE ENOUGH HOW MUCH I LOVE THIS. It’s a BB Crème plus Brightening Balm/Highlighter!!!!!!!!!! 2 – IN – 1!!! I’m not trying to be a cheapskate here, but I would say the highlighter available is much better, in fact, waaaaayyyyy better than my current highlighter which makes me so so happy! Being an amateur in this whole beauty-sphere, it’s hard to compare and contrast the products available in the market. Sometimes to try the product in store with the staff hovering over you or applying the product in a professional way for you, gives you pressure and maybe leads you to believe, yeah this product does look good on me! When you’re home, trying the product on again, it doesn’t seem quite the same as when you tried it on earlier at the store. What I am getting at is, if an amateur like me, shows this much of appreciation towards this products, it simply means that it is really noob-proof and that it is really easy to use. With the application of BB Crème (left) and without (right). So.... what’s in it for you??? 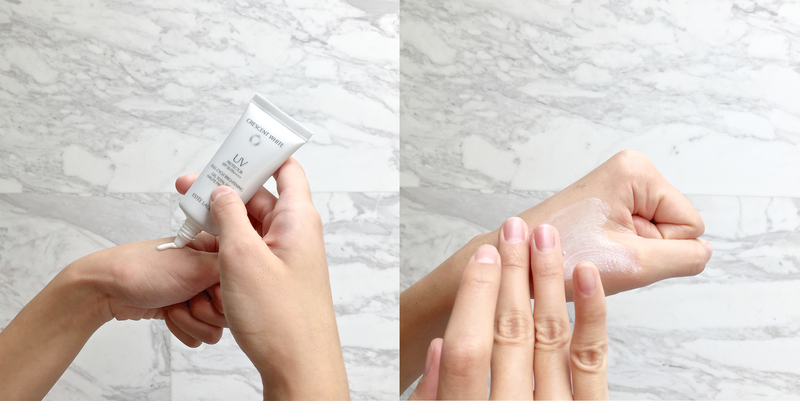 The first 100 readers to flash my IG post (refer to @irinatyt) to the staff at Estee Lauder ION Orchard Boutique will get to receive a 5-day trial sample of the Crescent White UV Protector!